Peyton Manning retired over three years ago, and still, the Broncos are without a definite answer at quarterback. Yes, Joe Flacco is the presumptive starter for the 2019 season and he should be a marginal upgrade over Case Keenum who was a marginal upgrade over Trevor Siemian. But, does anyone outside of John Elway believe he could be the starter for the next three to four years? 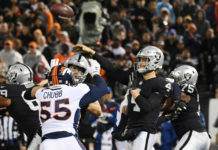 Even then, it seems unlikely that Elway believes it despite his rosy language about Flacco “just entering his prime.” The fact that the Broncos have flown out every one of the top four prospects in this year’s class suggests just that, as does the consistent rumors swirling around Drew Lock. 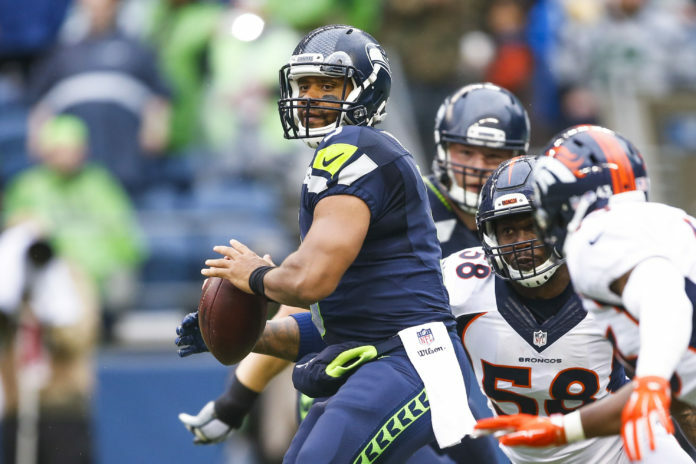 Could Russell Wilson be the answer to the Broncos’ conundrum at quarterback? Wilson’s contract is set to expire at the end of the 2019 season and he’s asked the Seahawks for an extension but gave them a hard deadline of April 15th to get the deal done. The 15th has arrived and no progress on the deal appears to have been made made. It’s possible that Russell Wilson will be suiting up somewhere other than Seattle in 2020. Could that somewhere be the Mile High City? Seattle won’t let Wilson walk as a free agent but the possibility of a trade is quite real, with the Giants and Raiders believed to be the leaders in the clubhouse. IMO, #Giants would have to be players in this. It’s been long rumored that Wilson and pop-singer wife Ciara have their eyes set on New York for its marketing benefits. With Sam Darnold cemented with the Jets, the Giants would be a perfect fit. They also have enough draft capital to make a swap for Wilson possible with two top-20 picks in this year’s draft. Draft picks also make the Raiders a possibility, with four top-35 picks in this year’s draft. It’s also murky how head coach Jon Gruden feels about Derek Carr as the Raiders have been tied to both Kyler Murray and Drew Lock in this year’s draft. 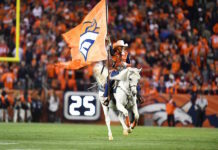 So how could the Broncos enter the fray? While they don’t have the same draft capital as the Giants or Raiders they could still make an enticing package around Chris Harris Jr. and their tenth overall pick. For the Broncos the package for Russ Wilson would probably look like Chris Harris, two firsts AND Flacco. Chris Harris Jr. is currently in a contract dispute of his own and if Seattle were interested, the Broncos could look to trade the aging corner. The picks would be more than worth it, considering that John Elway is likely to target a quarterback with the Broncos’ first rounder this year and Wilson is an upgrade on any of the 2019 prospects. The greater challenge would be cap space. Denver would have it get creative, as even after trading the tenth overall pick (and the contract that comes with it), Joe Flacco, and Harris they would only have a little over seven million dollars in cap space available. 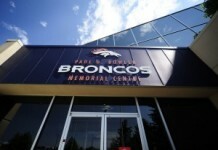 That’s a problem as Wilson is pursuing a raise of around eight million dollars, meaning Denver could quickly find themselves in the same hole as Seattle. That being said, with the salary cap’s recent explosion, the Broncos could easily manipulate their budget and backload some current deals like Von Miller‘s in order to make room for Wilson. Trading for the Seattle superstar would not only solve Denver’s quarterback woes and save John Elway’s job, but it would cement the Broncos in the AFC playoff race for the foreseeable future. At the very least, it’s worth a call.